Fancy rubbing shoulders with the elite on the French Mediterranean coast? Then head to Monaco where you can experience the glitz and the glamour of this millionaires’ (billionaires, really) playground. 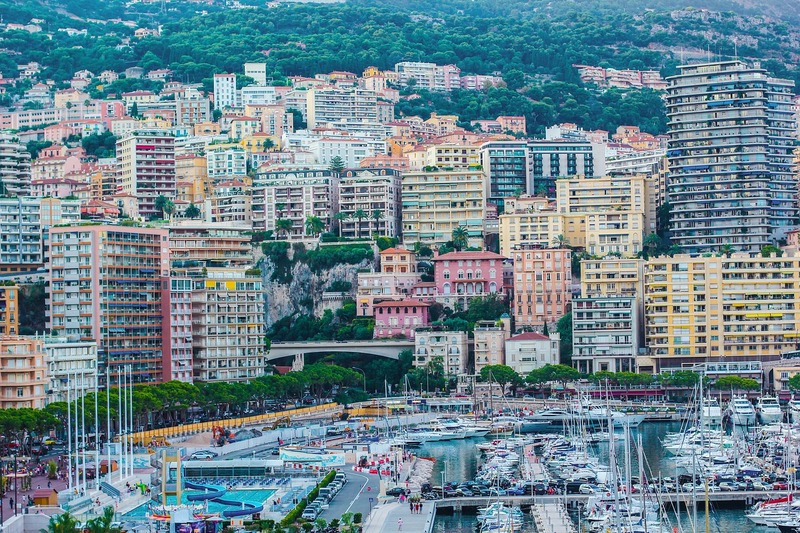 Its allure comes in many forms: a tiny principality that has its own Royal Family, it also hosts the Monaco Grand Prix, which is without doubt one of the highlights of the Formula 1 season, as cars tear around the famous street circuit while the wealthy watch on from their balconies. The legendary Casino de Monte Carlo only adds to the grandeur with its spectacularly lavish marble and gold interior and the equally grand Prince’s Palace sits atop Le Rocher. But, be warned, the people of Monaco are fabulous and well-dressed, so try and not to look too scruffy! The cruise pier, known as the Nouvelle Digue de Monaco, is next to the yacht harbour at Port Hercule. Occasionally, tenders will be used when the pier is full. The Old Town is within walking distance, but taxis are available for those who prefer a motorised form of transport. The public buses – of which there are five routes – are also efficient. Casino de Monte Carlo: Fancy a flutter? Then you have to head to the most famous casino this side of Las Vegas. One for the high rollers, the Monte Carlo Casino, built in 1893, embodies the Monaco essence of luxury. A range of games are on offer to satisfy every desire, including European Roulette, Trente et Quarante, Black Jack, English Roulette and Ultimate Texas Hold ‘Em Poker tables. Just remember the house always wins, people. Prince’s Palace: The palace, which dates back to the 13th century, is the home of the ruling Grimaldi family – currently headed by Albert II, Prince of Monaco (whose mother is famous Hollywood actress Grace Kelly). While a majority of the palace is off-limits, the public are welcome on tours of the state apartments. The changing of the guard also takes place at 11:55am every day. Prince’s Car Collection: There’s few things more important to the citizens of Monaco than motorsports and the art of the motor vehicle. A pure delight for all petrolheads, the car collection of the Prince of Monaco – started by Prince Rainier III – includes close to 100 models, such as Rolls Royce, Ferrari, Maserati and Lamborghini. And, of course, a wide selection of famous Formula 1 cars. Le Louis XV: It may come at a cost (a €165 spend – bare minimum) but this high-end French restaurant is regarded as one of the best in the world. One for the foodies. Il Terrazzino: Italian cuisine is not hard to come by in Monaco and this well-priced trattoria is one of the better ones – it’s even frequented by F1 star Jenson Button. U Cavagnetu: There’s no shortage of authentic French restaurants up on ‘The Rock’ but for general atmosphere and value no-one tops this local favourite. Métropole Centre: Away from the unaffordable high streets is this charming shopping centre where the more affordable boutiques are housed. You can find some real bargains. Avenue de Monte-Carlo: One for the extremely wealthy – or just those who love a bit of window shopping – this street houses all those famous fashion brands you probably can’t afford. Condamine Market: Enjoy an authentic slice of Monacan life away from the super-wealthy and wander around this charming market – at least you’ll be able to afford it! Monaco is very small, but the terrain is made of up of steep hills and steps, so decent walking shoes are recommended. If you are planning a cruise to Monaco then you may also be interested in checking out the latest ocean and river cruise news and our most recent luxury cruising features.